Help satisfy 29 CFR 1910.132(f) PPE training requirements with this expertly developed program. It introduces employees to various types of personal protective equipment used in the workplace, including head, eye, face, hearing, hand, foot and respiratory protection. 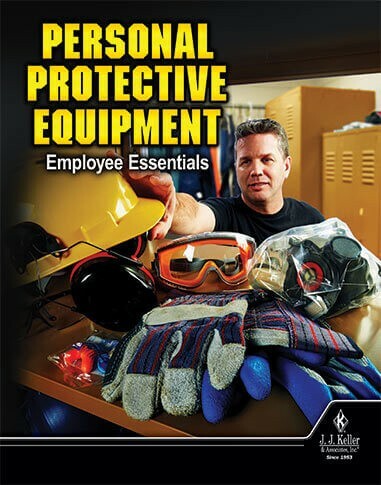 Thank you for your interest in previewing the Personal Protective Equipment: Employee Essentials online course. Please register or log in to watch free previews, browse the course library, purchase training points, and more. Thank you for your interest in previewing the Personal Protective Equipment: Employee Essentials video program. Please register or log in to watch free previews, browse the course library, purchase training points, and more.